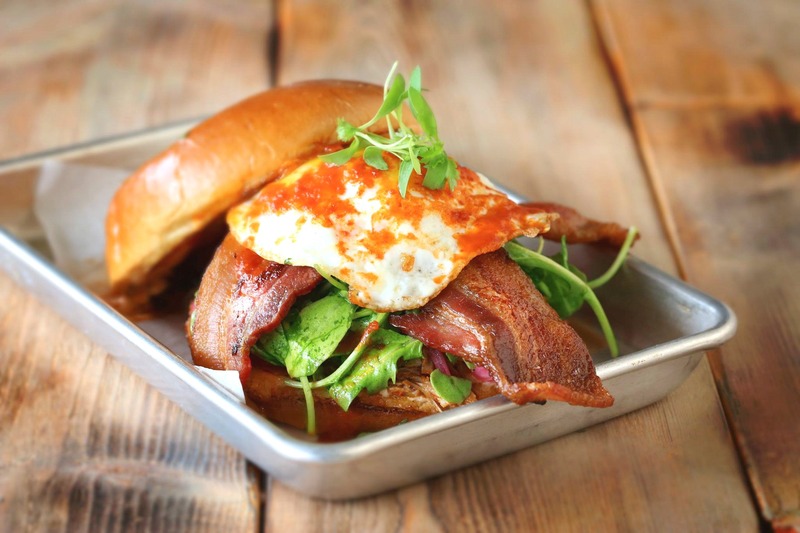 Rojo Gusano toasts moms this Mother's Day weekend with a special Mamacita Menu offered 11am to 4pm Saturday May 13 and Sunday May 14 at Rojo Gusano's two locations. The 3-course, prix fixe brunch menu offers 5 appetizers options, including homemade empanadas with choice of fillings, and Ceviche Mixto -- octopus and shrimp, sweet potato, toasted cancha corn. Select from 1-dozen entrees, ranging from Pork Belly Tacos topped with eggs, Chilakillers with salsa, Asadero cheese, choice of eggs, to Rojo Gusano's popular Huevo Sandwich with thick-sliced Nueske's Applewood-smoked bacon, and Chef Dudley Nieto's signature Pollo and Waffles -- spicy marinated fried chicken, waffles, fresh fruit, served with vanilla whipped cream, and Agave syrup. Choice of desserts include warm cinnamon-sugar Churros with chocolate-rum dipping sauce. The Mamacita Menu is $23 per person, $12 for kids 12-and-under. 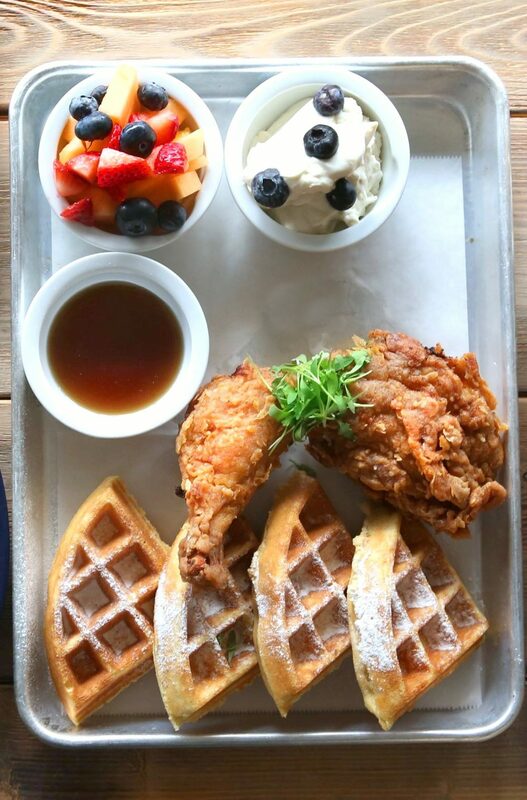 Pollo and Waffles -- spicy marinated fried chicken, waffles, fresh fruit, served with vanilla whipped cream, and Agave syrup.